Advancing women’s equality could add $28 trillion to global GDP by 2025. Women are more likely than men to reinvest in health, education and the welfare of others. If you want to empower women to bring transformational change - this is your opportunity. Sponsor SheTrades Global 2018 and demonstrate your leadership in the pursuit of a better tomorrow, by economically empowering women. Organisations that foster diversity and inclusion can adapt faster to the ever-evolving global marketplace. 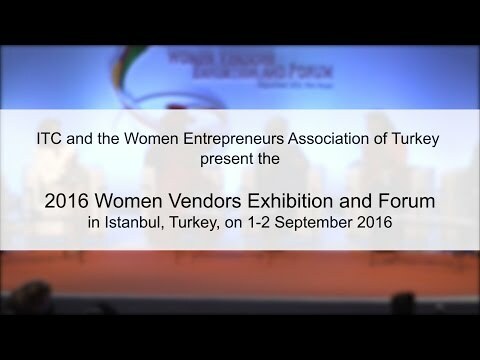 Be a model for how women can play a role in creating business and societal value. All sponsors benefit from global exposure as they associate their name and identity with a powerful movement to foster sustainable development. All contributions will go towards staging the SheTrades Global 2018 forum and supporting eligible participants from developing countries to attend the event. Sponsor SheTrades Global at the bronze level for basic recognition at the event, or at the Silver and Gold levels to receive exclusive benefits such as participating in arranging one-to-one bilateral meetings with high-level delegates. Become a PLATINUM sponsor to choose how you want to be centrally featured.